As more and more people use mobile to access information and search for products and services, it has become important the way web pages are published so that they work properly in mobile devices. 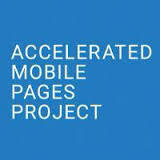 Google has launched a new new open source initiative called Accelerated Mobile Pages, which aims to dramatically improve the performance of the mobile web. Webpages with rich content like video, animations and graphics to work alongside smart ads, and load instantaneously across various devices like phone or tablet. Many publishers and companies like BBC, Buzzfeed, Twitter, Pinterest, WordPress.com, Chartbeat, Parse.ly, Adobe Analytics and LinkedIn etc have joined the initiateive.